Chloe Benjamin is equally adept at creating myths and busting them. The Immortalists has enjoyed a tremendous amount of buzz, listed as one of the most anticipated books of 2018 on more than one list. This is the kind of buzz usually reserved for debut novels or novels from household name authors. Chloe is, instead, a second-time author following a first novel that sold well, but on a more modest scale. In the publishing industry, like any other industry, there are many myths, and not just the ones that live inside of books. One of them is that you can't expect to sell a second book if your first wasn't a blockbuster. 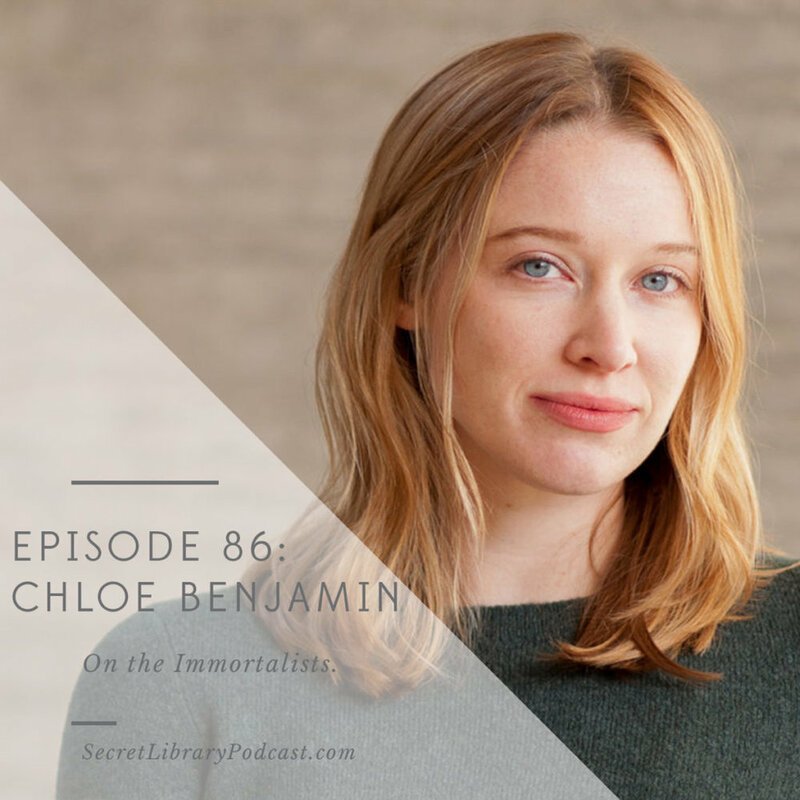 Chloe broke this myth herself with The Immortalists, and was so taken with the myths that surround second novels that she wrote an article about the phenomenon. We discuss it in this episode, along with many other things: our shared love of bathrobes and a debate about the advantages of executive assistant jobs while writing books. Chloe is living proof that things don't always proceed the way "they" say they will. She's written a gorgeous book that deserves every bit of attention it is getting and I hope you leave this episode just as inspired as I was after our conversation. Cult of the debut author and the second book phenomenon. “I’m really proud to be a second-time author.” On moving beyond debut status. Wrote a first book that got her an agent but never sold. So Immortalists is her third book written, second book published. Immortalists optioned for a TV series. “I need a narrative.” On being interested, or not. Gave herself permission to follow the story within the book and not worry about whether she was writing “literary fiction” or a “thriller” or any other genre. “It’s okay to tell a real good story.” On writing literary fiction with an unapologetically propulsive plot. “It’s my instinct as an author to follow those rabbit holes.” On letting your characters make bad decisions. Novel structure is useful in that it helps not being overwhelmed by the scope of the whole project. Wishes she was looser in the first draft stage. “I have to feel like what I’ve done is good enough that it’s worth doing more.” On how good first drafts need to be. “It feels like I’m dragging a trash bag behind me.” On a so-so first draft. “It made me feel like a professional person in a way that writing full-time does not.” On working a day job while writing her first two books. Only just this year started turning down non-paid writing jobs. Is working on the next book now, but also on book tour. “You don’t have to have the big splashy debut, you just have to keep working.” On building a writing career.